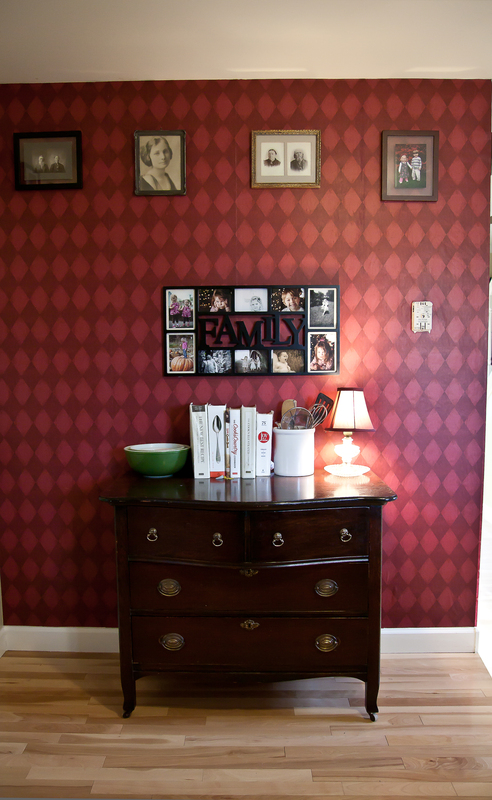 This is our Garnet Harlequin Wallpaper, item # EGT058, and can be found on our harlequin wallpaper page. A wall in our kitchen needed some freshening up, and we were ready to add greater interest to the area behind our antique dresser that we’ve re-purposed into a sideboard. As the wall was already painted (and therefore primed) it was just a matter of cutting the wallpaper into strips and applying paste to the wall. Our inspiration: Our favorite antique lamp with a colorful shade & a Pinterest photo of a beautiful hand painted harlequin pattern. Inspiration translated: Found a classic harlequin print in lovely shades of red. Other details: It only took about an hour to complete our mini-renovation. I’ve never been very fond of painting, and it was nice to have very minimal prep (I simply wiped the wall with a damp rag), and a very quick clean-up (tossing wallpaper scraps in the trash). 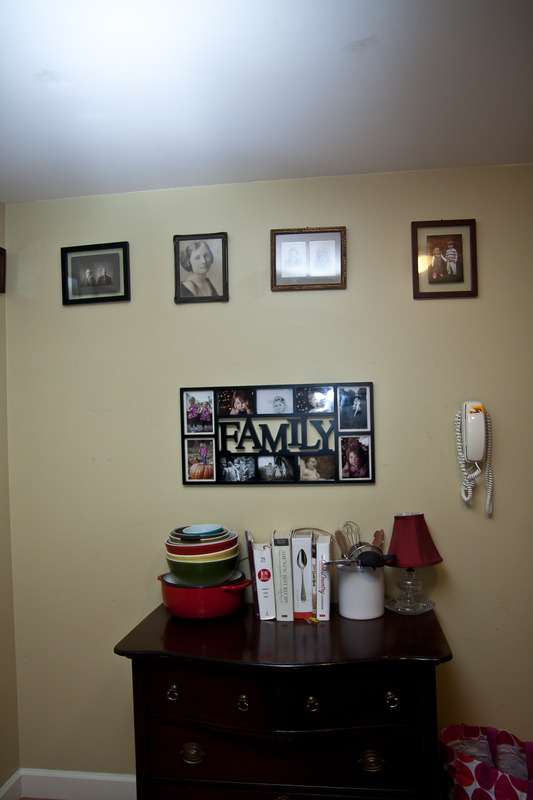 We kept our framed photos on the wall, that act like a border (these frames run around the room and down the hallway too).